Chicago- Attorney ZACK STAMP has been selected by his peers as new speaker of the Third House, an organization of Illinois lobbyist. The annoucement was made at the Illinois Third House Holiday Luncheon December 10th at the Hilton Chicago on Michigan Ave. with over 350 in attendance. Mr. Stamp is the son of Ron and Joan Stamp of Stronghurst, and now lives in Springfield. His biggest consistent clients over the last 5-10 years have been: Peabody Energy, Altria, Illinois Gaming Machine Operators Assoc., American Insurance Association and Illinois Petroleum Marketers. Others come and go as issues arise, Mr. Stamp said. 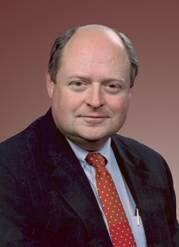 Retiring 2015 Speaker is Keith Sias vice president of governmental affairs for the Illinois Credit Union League. He said that in a typical legislative session, 7,000 or 8,000 bills are introduced and their job is "to really analyze those bills, determine how they impact the groups that we represent, and then present that to the legislators and the key policymakers." "They (legislators) can't possibly be experts in every area, and it's up to us to have credibility and provide meaningful input and really help them understand what these bills do and the effect they have on our members, but also the state as a whole." Groups also fashion legislation they believe is needed, find legislative sponsors and try to shepherd it through the process. "People always need representation," he explained. "The Third House sometimes is asked for input on policy by the secretary of state's office, which oversees lobbyist registration." Mr. Stamp explains about members of the Third House and activities. "All lobbyist are eligible. There are no dues or membership application. "As with any group there is a core group that participate, and many who don't. We all just have to pay to attend various social events such as the New members Conference (Usually only in odd number years), the Spring Golf outing, and the December Holiday Lunch in Chicago. Other events have been held over the years but these are the consistent ones," he said. He also said that on occasion, the current speaker (and sometimes past) is asked to comment on proposed change to various laws dealing with Lobbying. The primary job for Mr. Stamp as Speaker of the Third House is the same as former ones, and that is to organize events including the Chicago holiday reception, a golf outing and a reception for new lawmakers. The group also donate to charity. Stamp said, "It is an honor to be selected for something like this by yours peers, but it is also a lot of work. I am looking forward to having a successful 2016 term of office. Every year we alternate, selecting from the Chicago area, then downstate. Sias said, "To me, it's just really like the highest professional honor that a lobbyist could get." Stamp has a lengthy job history that began in Stronghurst when he opened his own law practice and moved on to Springfield where he has become one of the top lobbyist in the state. Mr. Stamp is the principal partner in the firm of Zack Stamp, Ltd. His practice focuses on the areas of representing clients with interests before the Illinois General Assembly and Illinois Department of Insurance. As Director of Insurance, Mr. Stamp was active in the NAIC. During his tenure, Illinois implemented mandatory auto insurance and the Comprehensive Health Insurance Program (CHIP) which he chaired. He served three years as Governor Thompson's Director of Legislative Affairs. In this position he was responsible for coordinating the Governor's interaction with the General Assembly and overseeing the legislative activities of the departments and agencies under the office of the Governor. In addition, Stamp served on the Senate Republican Staff from 1980 through 1985, holding a number of different positions, including staff for the Insurance Committee, Assistant to the then Minority Leader James "Pate" Philip, and General Counsel.